At 11:47 p.m. ET on Dec. 30, 2017, Joshua Boyle picked up the phone and dialled 911, prompting Ottawa police to show up at the apartment he shared with his then spouse and their children. 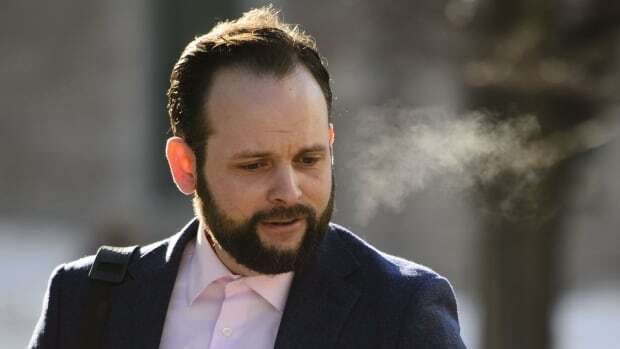 It was the day Caitlan Coleman was “finally able to walk away from Mr. Boyle” after months of alleged domestic abuse, Crown attorney Meaghan Cunningham told court as Boyle’s trial began Monday. On Tuesday, Boyle’s 911 call was played in court. Boyle has pleaded not guilty to all 19 charges, laid after the couple returned to Canada in October 2017 with the three children they had while in captivity for five years in Afghanistan and Pakistan. Boyle greeted Henderson at the door of the unit holding an infant, told Henderson he and Coleman had been in an argument, and that he “didn’t want to drag Caitlan back into the apartment” and “did not want to hit her,” Henderson recalled jotting down in his notes. After Henderson looked for Coleman elsewhere inside and outside the apartment building, he came back to the couple’s unit to get more details. Boyle told Henderson that Coleman suffered from a personality disorder, anxiety and PTSD, that she was stressed after an argument about the kids drawing on the wall, “and about Caitlan as a wife not performing her duties and her roles and responsibilities as a mother,” Henderson testified. The officer then got ready to leave and continue searching for Coleman.